You are called to evaluate a patient that recently returned from a trip to Mexico with these cutaneous findings. Upon further questioning, he reports being on oral doxycycline for Lyme disease for the past 14 days. 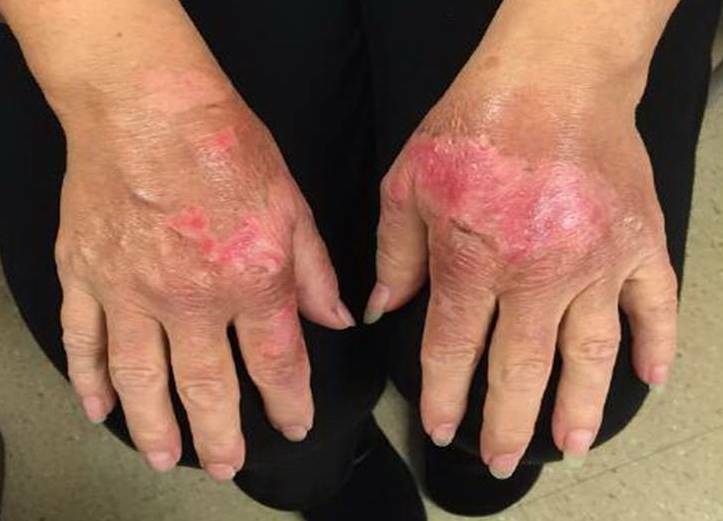 What is the major contributor of this cutaneous reaction?